As with any important purchase, seniors and their families deserve a comprehensive way to search and compare elder care options. However, if you speak with of the 62 million Americans who currently provide care for an elderly or disabled relative, you may learn that evaluating and selecting the ideal care option can be challenging. As a result of the increasing popularity surrounding online consumer education portals, entrepreneur Ira Yellen has developed an innovative way for families to research and compare home care services. In November of 2012, Yellen launched HomecareMatchKiosk.com, a website that educates and empowers consumers on elder care needs and what options are available. Currently the site only offers information a handful of New England states, but will be adding additional locations in the coming months. What types of services does my loved one need? What safeguards should I insist upon? What kind of homecare systems or homecare software should the agency provide? These are just a few of the many questions that face families as they begin their research on home care. The challenge is not only knowing what questions to ask, but where to find the answers. The 180+ agencies listed on HomeCareMatchKiosk.com have been studiously reviewed and screened for their ability to offer quality home care services. Since its launch, interest in the site’s content has been steadily increasing. The past month alone saw a 72 percent rise in new visitors, with an increase in the amount of time consumers were spending on the site. 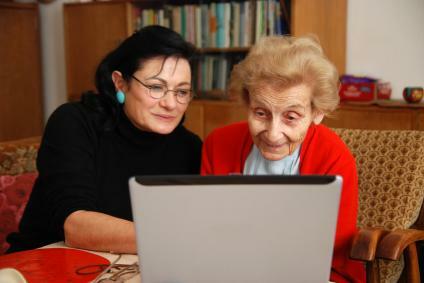 Other research has proven that consumers are becoming more interested in educating themselves regarding home care services – including homecare software and homecare systems. Interest in homecare systems and homecare software has been escalating as more families recognize the value of using such services. Whether consumers use HomeCareMatchKiosk or a similar resource, checking to see if the agency offers reliable home care software, such as ClearCare, should be a priority. Finding the ideal caregiver for your loved one is a complex process, so take your time. Think through what type of care is best to ensure a smooth transition. When it comes time to interview different caregiving agencies, get as much information as possible. Ask about medical background, criminal checks, and always speak with references. Also, be sure to inquire what homecare systems each agency offers. While caregivers often have the best of intentions, lack of skills or a busy schedule can cause some to forget certain commitments or responsibilities. The best way to avoid this potential problem is insisting on real-time visibility to each patient’s point-of-care. ClearCare’s web-based home care software allows agency administrators and family members to keep an eye on what goes on at every patient’s home. Families can check and make sure the caregiver has arrived at their loved one’s home on time and important daily tasks have been completed as scheduled. What other types of consumer education would you like to see available online? Join the conversation and let us know!